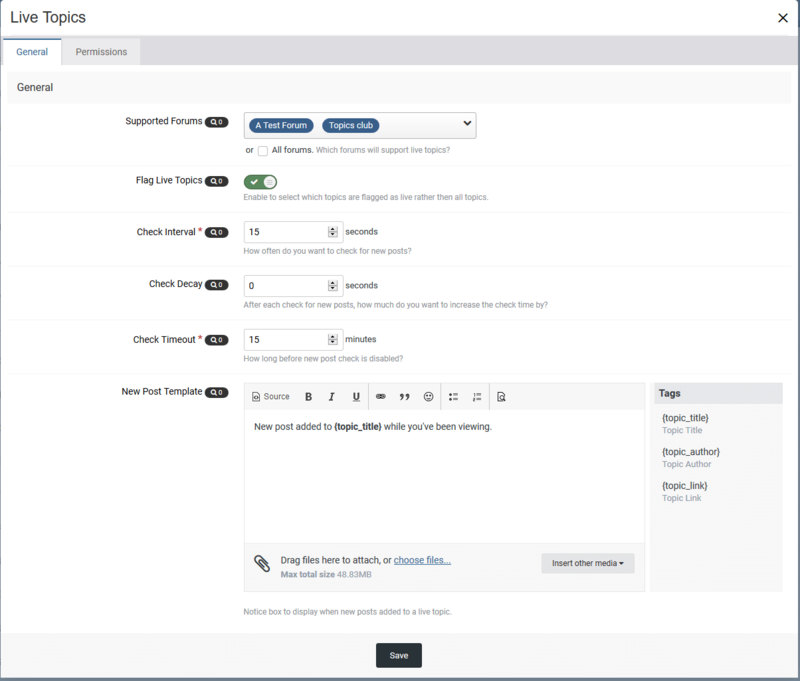 The Live Topics plugin has received a new update that adds several more features. Customize new live post message. Set which forums or clubs support live topics. Set which member groups can view live topics, flag their own live topics and manage all live topics. 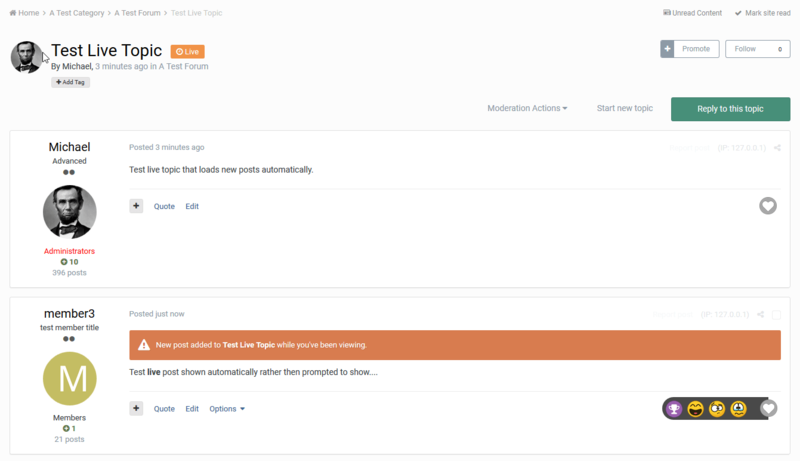 Enable/disable live topics through topic or forum moderator actions. Option to flag specific topics rather then all topics enabled in selected forums.